Having just completed No BS Social Media, there are two very broad statements I want to make. The first is that if you are new to social media, this is a good book for you to pick up as an introduction. The second is that I have some issues with the book that I want to warn you about. The good thing about this book? Jason and Erik do a good job of telling you how social media can be used for different facets of your business, ranging for marketing to PR to sales. They deal with the “It’s all about the conversation” hype too. In fact, this is the “no BS” part. While conversations and the oft-mentioned “Being human” are treated in the book, the authors both note that conversing on social media sites, much like conversing on the phone, is not necessarily going to be enough to make your bean counters euphoric. Both statements are quite true and well-founded and represent what makes this book a good introduction to social media. Before I can recommend this book fully, though, I have to tell you that there are a few streams of thought that are revisited over and over throughout the book, and I feel that these particular concepts are either simply not correct or could be misleading. Let’s talk about these a bit. These kinds of statements are sort of fuzzy in my head. The bottom line is that if you are investing money into something, you need to make sure you are getting money out of it. No matter how many great connections you make, businesses still run on money (until that great day when we final make Gene Roddenberry’s dream a reality and create a world where all races and genders and species can interact on equal ground and without concern for monetary gain). Yes, you can hope to get lots of things out of social media, but if you are here for business and you are not making money, the other stuff will just be good for your scrapbook. ROI – return on investment, or a return on what you are putting into your efforts, has to be a priority. Otherwise you’ll go broke. Now, the problem with this of course is that if Greg is investing 30 minutes of his work time a week, he *is* investing money because he is getting paid for his time. If you are paying someone else to spend 30 minutes a week on social media, you are still paying them. With money. Or acorns. Or something you want to get back. Time is money. Yes, social media sites are free, as Jason and Erik point out. And yes, you don’t necessarily need to be on social media sites 24/7. But if you or someone who works for you are “doing social media stuff” to grow your business, that is a salary that is being put out there as an investment. What are you getting back for that investment? This idea that traditional marketers don’t really care about ROI is most certainly not borne out by my day-to-day reality. If we tell a client that the great news is that they had x number of eyeballs on their banner ad, we hear, “And?” Everything in my day-to-day work is held accountable. Our clients want to know who is reaching their websites, what those folks are doing there, and how we can filter those wandering online nomads into the sales funnel. The idea that marketers not involved in social media are blinded by the lights (or impressions or eyeballs or number of readers) is simply not accurate in my experience. Even more disconcerting though is that comments like these don’t really serve you the reader. It simply reiterates this dichotomy that the online world has set up. Social Media good. Traditional Marketing bad. Now, Jason and Erik do mention that tossing out traditional marketing is not a good idea, but when weighed against rather strong comments like these, what do you think will be most memorable? Yeah, that’s my fear too. If you are new to the social media world, this is not a bad choice to get yourself started on the path of thinking about how to use social media to grow/impact your business. But I highly caution that statements about traditional marketing, the cost of social media, and the ROI of all kinds of marketing get weighed carefully in your head as you read. If you have questions, practice using social media sites by asking them. 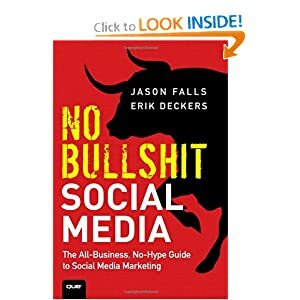 I also want to note that as I started reading this book I tossed out my first concern about the ROI statement to Jason and Erik on Twitter, and both men responded rather quickly and spent a pretty generous amount of time talking to me in the open stream. I appreciated that. Many authors, despite preaching about the value of customer service and social media listening, do not respond to benevolently, if at all. Have you read this book? What were your thoughts? 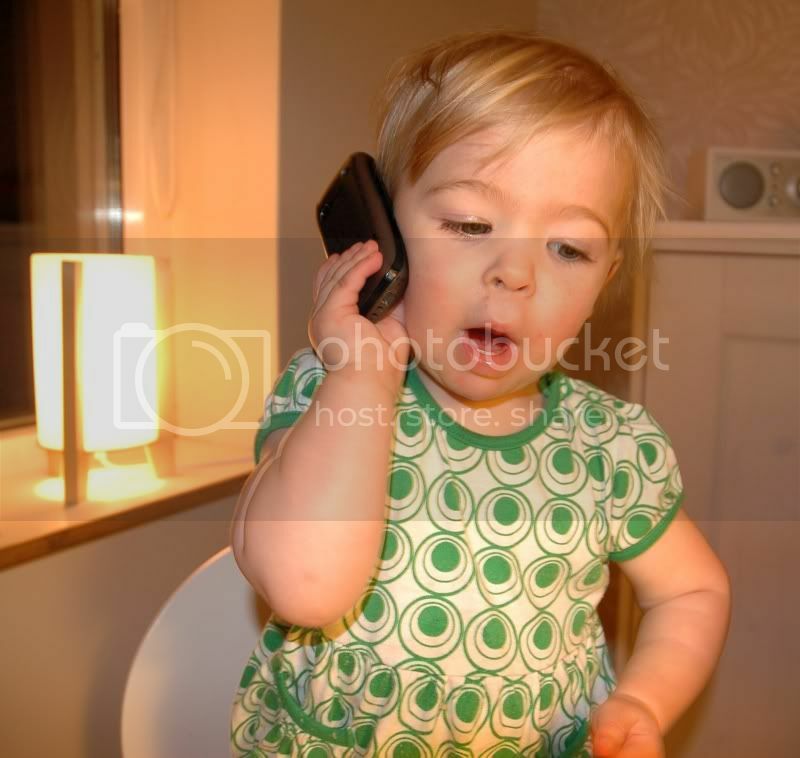 I’d love to talk to you about it!